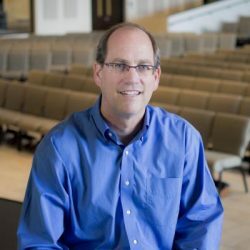 Matt Woodley is the Editor of PreachingToday.com and the Mission Pastor at Church of the Resurrection in Wheaton, Illinois. He is also the author of The Gospel of Matthew: God With Us and Billy Graham: Leading with Love. But his biggest ministry passion is training, coaching, and equipping preachers.